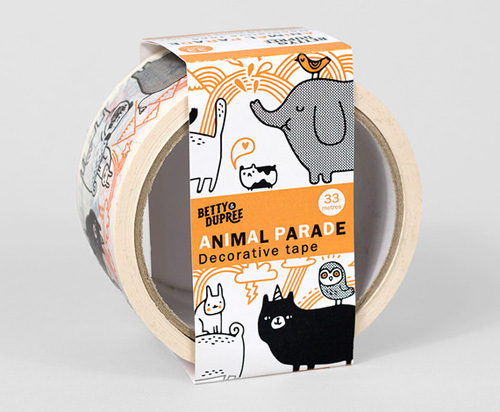 Betty & Dupree's Animal Parade tape designed by Gemma Correll features cute illustrations of owls, cats, rabbits, elephants and pugs, apparently on their way to a party. 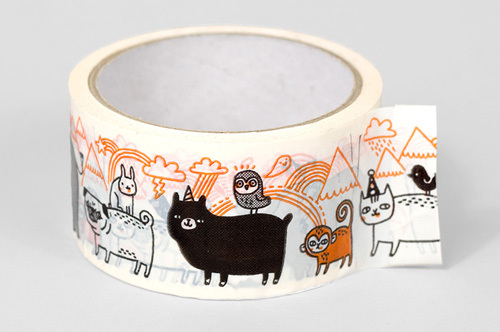 The tape is a fun way to pack a gift for a friend and perfect for many kinds of craft projects. 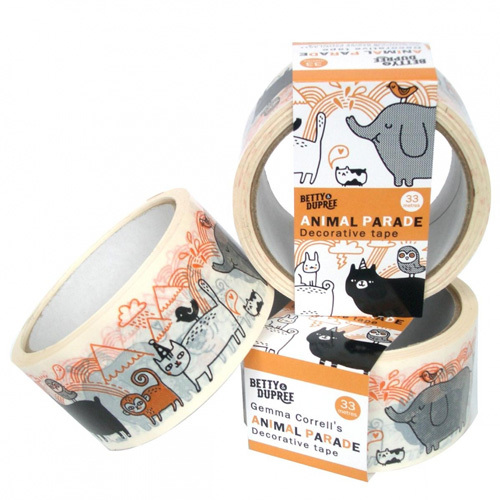 Available at Buy Olympia.